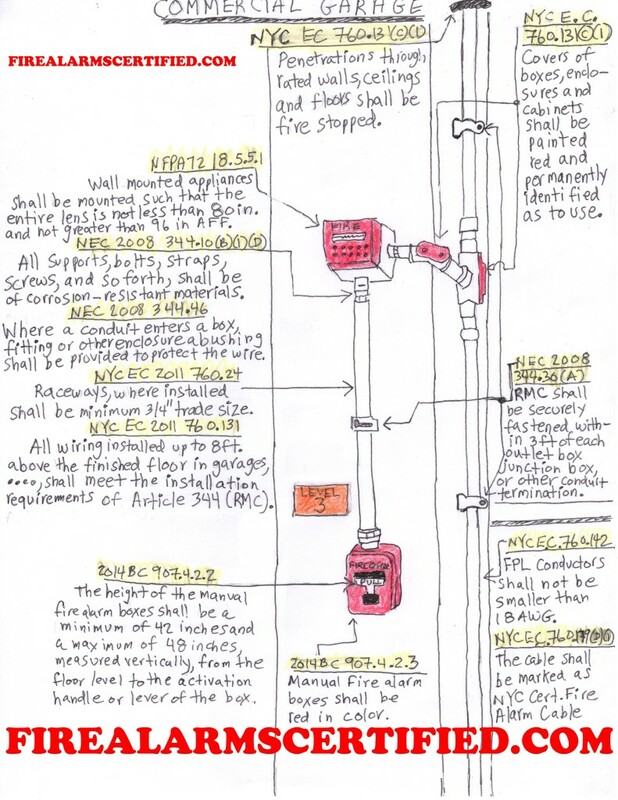 Here is a picture of a fire alarm installation I drew. I highlighted and noted the codes that define or cover the installation. Some of the codes referenced are NYC Electrical Codes and NYC Building Codes. Feel free to save it and study from it. Why become NICET Fire Alarm Certified?